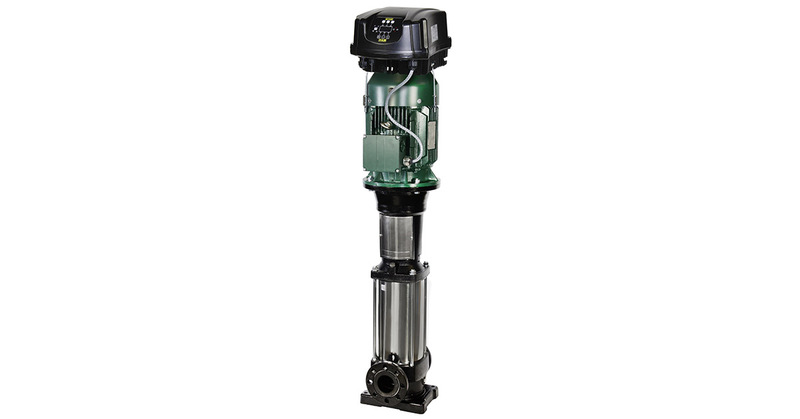 DAB's NKVE 32, 45, 65, 95 pumps are multi-impeller vertical centrifugal pumps with coupling with MCE-P inverter installed as standard; designed for pressurization in civil and commercial environments, they can also be used in agriculture and in watering systems. Pump body and upper flange in cataphoretic paint coated cast iron; impellers, diffusers and pump liner made of AISI 304 stainless steel (AISI 316 stainless steel available on request - X version). Pressure sensor supplied as standard. Centre distance between the 2 in-line ports designed to maximize interchangeability. Starting from 5.5 kW models, the mechanical seal can be removed without removing the motor. Mechanical seals for aggressive liquids and different connections (round, oval, Victaulic, clamp flanges). WRAS and ACS certified IE3 electric motors. D.Connect ready (D.Connect Box supplied separately).